Flipt is a lead generation software for realtors who use social and housing data to find prospects who might sell their properties. 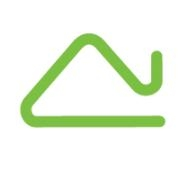 It identifies owners’ decisions to sell at an early stage, alerting users before their competitors. In this article, we cover Flipt reviews and pricing. Ready to get started? View the demo. Users who gave Flipt a positive review mentioned that it helps them acquire more leads and contacts. Others noted that its artificial intelligence (AI) is helpful in targeting potential sellers in a short span of time, while some like its responsive and helpful customer support. One user who left a positive review on ActiveRain said that the system allowed her to get five sign-ups in just a week. She added that she was happy with her overall experience with its customer service representatives. 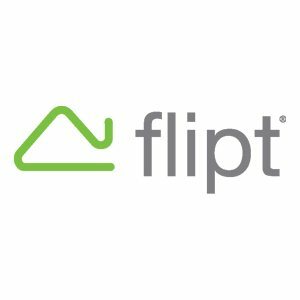 Users who gave Flipt a negative review said that the leads they receive look suspicious to the point that they wonder if they are real people or not. Others mentioned that the contact information they received was incomplete. One user who left a negative review on ActiveRain commented that the potential customers she got did not contain any reliable contact information. She added that she was not impressed with the quality and quantity of the leads. The Flipt pricing scheme isn’t published on its website as it offers a customized quotation per area. Prices for similar software with basic functionalities range from $9 to $30 per month, while more premium and extensive ones usually range from $100 to $300 per month. You may visit Flipt’s website to request a quotation. Ready to get started with Flipt? View the demo. 13 Best Lead Generation Software: Businesses use lead generation software to capture a lead’s information ― usually from a website ― and then build a database of contacts for qualifying and converting those leads to customers. In this guide, we compared 13 best lead generation software, in terms of price, ease-of-use, integrations, and more. The web ads you create on Flipt will be featured on different websites, including the Wall Street Journal, CNN, and many more. Meanwhile, mobile ads will be displayed on Facebook mobile news feeds and different mobile applications. Can I lock the ZIP code to one user only? Yes. You may select or mark all five spots in your ZIP code to lock out the competition. Each ZIP code is limited to five spots. Have you read these Flipt reviews and are still not sure if it’s the right fit for you? Read our reviews of all top lead generation software. Very helpful. They have ads that get attention. The expense. It’s not inexpensive; however, one deal could pay for the year subscription rate. Great leads and they have been over delivering on my lead expectation. Great customer service and follow up to help succeed with the leads. Would highly recommend to other realtors. It was clearly laid out for me before I joined.